List of attempted Blood source port and recreation projects. 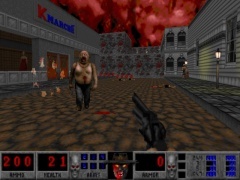 The source code to Blood was never released; however, source ports have been attempted using released Build engine, Duke Nukem 3D, Shadow Warrior, or the leaked Blood Alpha code, as well as original programming using reverse engineering. Based on original or already free software source code and only reading the original game's assets, these projects are considered more clear legally speaking (although issues can still persist). The exact definition of what is a source port is debatable however, in regards to the lack of official source code, and methods of reverse engineering will vary. Our working definition here is any project that works with the game's native files and formats. As such, they should also be able to run custom content such as Bloody Pulp Fiction or Death Wish. BloodGDX - a project to port Blood using the libGDX framework for Java. Single and multi-player. Port specific code not released. NBlood - a project to port Blood using EDuke32 as a base. Single and multi-player. Full source code released. "The premise of REing a game to a new engine is fundamentally flawed. I have a better idea but it's low priority right now." "BLEED is easily the most ambitious project I have ever undertaken, and I have to reinvent several wheels to make it happen." 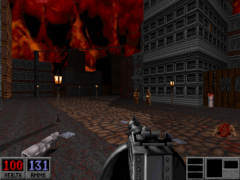 Mentioned in a number of Duke4 Forums threads since at least 2014, Voidpoint programmer Hendricks266 has his own port for Blood in the works. Rather than straight up reverse engineering, it is based on reading directly from the original BLOOD.EXE to avoid any legal issues, while utilizing EDuke32 as a base. It is meant to be part of larger framework that will work with every Build engine game. He has been tight-lipped when it comes to further details, and it is unclear if NBlood might change his plans. "My port will sidestep the legal issue entirely, while achieving 100% accuracy from the start--of any version of Blood you choose... Making modifications will be harder but still doable." "My [Blood port] will work with every BUILD game, so don't worry." 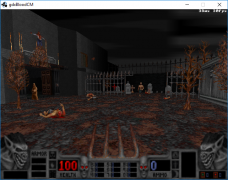 "This is a modified version of DosBox v0.74 called BloodBox, that will serve as the platform for a reverse engineering effort of the classic first person shooter Blood. 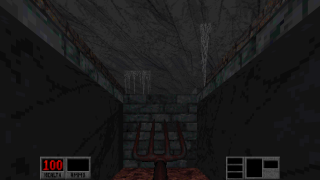 Specifically version 1.21 (The GOG version should work) After loading the main executable of the game, BloodBox injects calls to a special interrupt at the start of certain functions. These functions were then reverse engineered and implemented in BloodBox itself. In this way, instead of having to reverse engineer the entire game, only code useful for speeding up, bug fixing, modding and adding features will have to be considered." 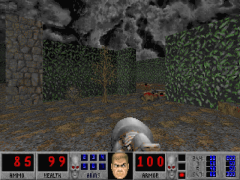 A modified version of DosBox v0.74, that will serve as the platform for a reverse engineering effort of the classic first person shooter Blood. Specifically version 1.21, instead of having to reverse engineer the entire game, only code useful for speeding up, bug fixing, modding and adding features will have to be considered. The first ambitious port, started in 2005 and last updated in 2009 by Justin "icecoldduke" Marshall and also known as WinBlood. 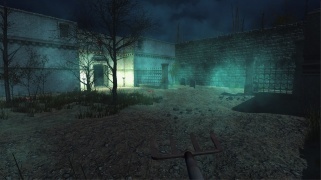 It first attempted to port the game assets to the Build engine port hosted on icculus.org before later being restarted from scratch based on JFDuke3D, releasing a few screamshots and four public alphas. 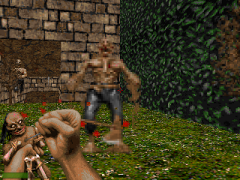 Registered by Jacob Moorman on April 12, 2010 and last updated on April 11, 2013, OpenBlud attempted to create a basis with the original Shadow Warrior source code while also porting to 32-bit Windows systems. "The XL Engine is an engine that runs the 'XL Games', which are enhanced remakes/ports* of the classic games. Essentially they are remakes in the spirit of a port, or to put it another way, they emulate the original games and then provide optional enhanced features on top in order to improve playability and visuals. All these games will be able to use the 'Pure Renderer', which is a software renderer that can support the original 8 bit rendering and resolutions. Basically this means that you can play the games as they original looked and played or play in higher resolutions and color depths with a variety of enhancements. You choose how close to the original you want the games to be." The XL Engine, a reversed engineered port of the Jedi Engine used in Star Wars: Dark Forces and Outlaws, was attempting Blood support since first announced on December 22, 2010. Pursuant to this, support for the original Shadow Warrior had also been prototyped. No news has been posted in years, and the website is no longer online. 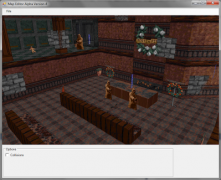 "BuildSharp is an application, currently in development, that can read from and utilise assets from Build games and be used to generate games via a scripting language. 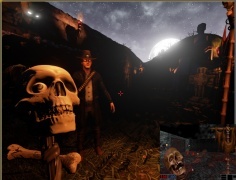 Developed in C# and using XNA (but planning to move to MonoGame when able) The primary focus is on the Build game Blood as it is currently one of the main three Build games (the others being Duke Nukem 3D and Shadow Warrior) that has not had it's source code released. This site is still quite new, so please check out our Facebook page for details of our development so far." A project aiming to reverse engineer Blood onto the .NET Framework; first announced May 22, 2014 and last updated on June 13, 2015. Announced on Facebook as in "hibernation" as of August 14, 2017. "EX moves away from BUILD in terms of mechanics and basically reproduces the original game in a modernized engine, which means floating point math instead of fixed point and timing/speed/movement etc has to be scaled down to match the original game, so theres bound to be some minor flaws here and there. Though despite of that, EX will have a more dedicated focus on modding and customization... The way I handle it is anything regarding to damage values, health, etc is reverse engineered, because that's the most important things that needs to be done right. Anything regarding to player weapon swaying and object momentum speeds (such as how far you throw dynamite, or how much an explosion knocks you back) is entirely empirical, though I do rely on the assembly as a guide. AI behavior is 100% identical and taken directly from the disassembly. Though I do add a bit more to it so it can be easily customized by modders. The only thing I am concerned about is how the enemy aims at the player. Build engine games uses a fixed-point slope value while Kex uses atan2/angle pitch to determine the aim.... which results in the AI being a tad more accurate even while the player crouching. I have some ideas to emulate the fixed point slope behavior though. Everything else (renderer, collision, resource management, etc) is done from scratch." A project "under tight wraps" started sometime after May 2015 by Samuel "Kaiser" Villarreal based on his prior Kex Engine ports. 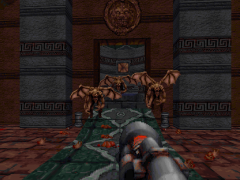 Superseded now that it has been announced that Kaiser is working on an official remaster of the game using this work as a base for Night Dive Studios under license from Atari (although Kaiser himself still refers to the project as Blood EX). 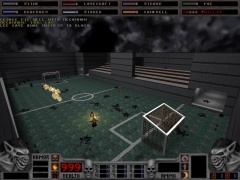 Most of these take the form of total conversions for other games, sometimes with attempts to imitate the Blood game logic as well as its aesthetics. Others are better classified as original fangames. 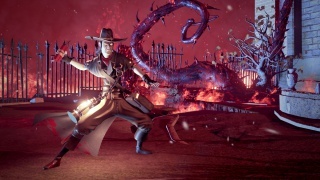 As with all fan made projects using copyrighted assets, there are questions as to their legality; Transfusion received a quitclaim license however. As opposed to source ports, our working definition here is anything that rips assets out of Blood and re-constitutes them on their own engine and systems, rather than working with the original files and formats, or simply uses its own original assets. 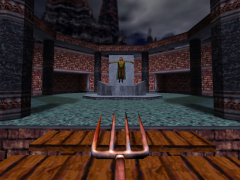 Transfusion - a project to recreate Blood under the true 3D DarkPlaces engine which is a modified Quake engine. Supports multi-player. 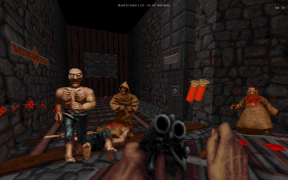 Blood TC - a total conversion WAD file for Doom II: Hell on Earth with seven levels. Had its own story, but mostly recreated original levels. Single-player. 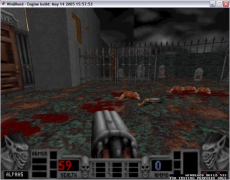 ZBlood - modified and enhanced version of Blood TC which runs on the ZDoom engine as well as its derivatives. Single, cooperative, and multi-player. Continued in project forks such as ZBlood+, ZBloodX and most recently ZBloody Hell. Blood Reborn - an attempted recreation of Blood built using Game Maker 7. Single-player. BloodCM - a Blood total conversion for EDuke32. Currently considered to be the most accurate recreation. Single-player only. A project to replicate Blood atop of Unreal Engine 4 by D!rt, an Irish 3D artist who worked on the 2013 remake of Rise of the Triad and the earlier Blood Source project. The first news post is from January 7, 2015. 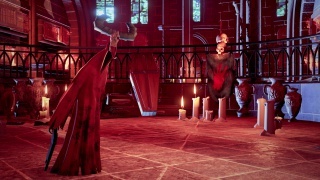 Once seemingly being merged into the Blood Fan Remake on Unity 3D, a video of the current state of the project was released on March 15, 2018. 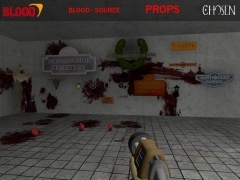 A project to recreate Blood atop of the Unity 3D engine first announced on April 23, 2017 by OrdinaryFpsFan789. Currently hoping to complete a full remake of E1M1: Cradle to Grave. A demo was released on May 22, 2017. D!rt, formerly of both Blood Evolution and Blood Source, is now listed as a modeller. A project to port Blood to Valve Corporation's Source Engine by The Chosen; superseded by Blood Evolution. The first news post was released on February 24, 2009 and the last on May 27, 2012. 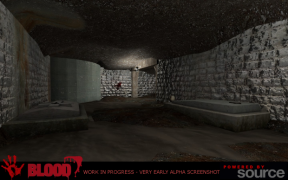 "My team and I are very proud to show you our take on Blood, a PC game from the 90’s. 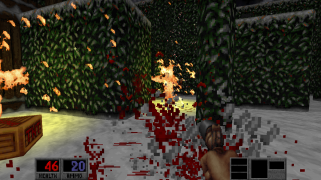 Blood was a First Person Shooter, we imagined it as a twin-stick shooter centered around the use of TNT. We also completely redid the visuals with a semi-stylized art direction. We really wanted to capture the tone of the original game, which is over-the-top, satiric and packed with horror clichés. We also seized the opportunity to explore the destruction capabilities of Unreal 4!" 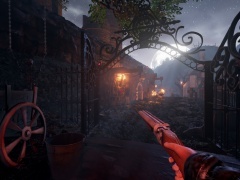 A student project at the Université du Québec à Chicoutimi arts department circa late 2015 through early 2016 "re-imagined" Blood as an isometric third-person shooter atop of Unreal Engine 4 focusing on twin-stick dynamite usage. Completed as part of a course, and no doubt also due to copyright concerns, it was never properly released beyond images, screamshots, and video such as on artist Gabriel Fleury's portfolio. It has also been called the Blood Fan Reboot. "This was only a student project : a short playable sequence done in 7 weeks for an assignment. We never intended it as a full game. We won't release anything more than this video!" 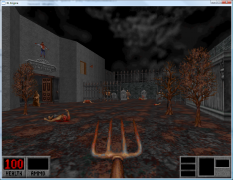 Similar to the later finished BloodCM, Cradle to Grave (or C2G) was another project to add Blood enemies, objects, and styles to EDuke32. It was worked on by Daedalus, Dimebog, Daedolon and others from The Postmortem going under the title of Bunch of Butchers. First announced on June 23, 2008, it received its last news post on March 23, 2011 and has remained dormant. An early attempt at doing a Blood total conversion for Duke Nukem 3D, announced on August 17, 2005 by TheChosenOne. An attempt to succeed Transfusion using the X-Real engine derived from id Tech 3. A project by Justin "icecoldduke" Marshall, creator of WinBlood, attempted to port Blood assets onto id Tech 3, announced on June 2, 2009. This page was last edited on 9 March 2019, at 02:10.